Today there is a growing recognition of outsourcing as a tool for day-to-day management. Cost reduction is a key reason why many companies outsource. For others, access to greater expertise or the need to focus on core activities is important. 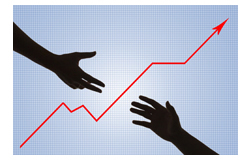 We offer competent and skillful financial and analytical support for non-profit organizations. Our experience and knowledge from working with multiple organizations create a breath of knowledge that benefits our customers. Our service is flexible to address our customers' needs. Please don't hesitate to Contact Us with your needs.